This is the first Eleanor Burford novel I have been able to purchase, due to scarcity and cost, and I am happy to report that not only do I own such a rare novel, but I really enjoyed reading it as well! I didn’t know what to expect with this book, because it’s an earlier work than most of her historical novels written under Jean Plaidy, Kathleen Kellow and Ellalice Tate, and in a separate genre. 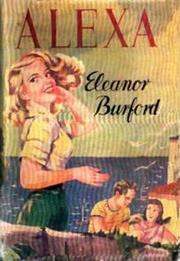 I can’t speak for all Eleanor Burford titles, but this one was set in the time it was written (late 1940’s) and focused on a girl who was not what she’d been brought up to believe. The first chapter in the book gives a snippet of Alexa’s parent’s love affair and then jumps to her life at the age of 10, as a farmer’s daughter. Her birth mother, Kathryn, was from an affluent family and with the help of her friend, Delia, hid her pregnancy and placed her daughter with a family close to her home so that she could watch over her. Alexa is a vibrant, happy child and always looking for the good in everyone and everything. Her personality is contagious and she is an easily well-liked protagonist. Her (foster) sister is as different in personality and appearance as possible, but there is a bond between them. Both girls are educated by the benevolent ladies who show a special interest in their plight. Alexa, who did not shine academically as her sister did, ended up a companion of the mysteriously generous ladies she had grown to revere. Meanwhile Alexa’s adoptive mother was a bitter and mean-spirited woman, bent on making Alexa’s life as miserable as possible without revealing the fact to the women who paid her handsomely for Alexa’s keep. Alexa’s adoptive father is kindly but lacks a backbone to counteract his wife’s behavior. “I have to get Tiger.” She glanced over to where Tiger was crouched, silent now and watching the new arrivals with interest. I found to my great pleasure that this book is every bit as detailed with character analysis as the author’s later works. The difference lies in the presentation: it is very verbose with dialogue in most parts of the book, and in this reminded me much of Heyer’s writing as well. There are parts that are very much “Plaidy” and some that remind me of Victoria Holt (such as the twisted, unexpected ending). 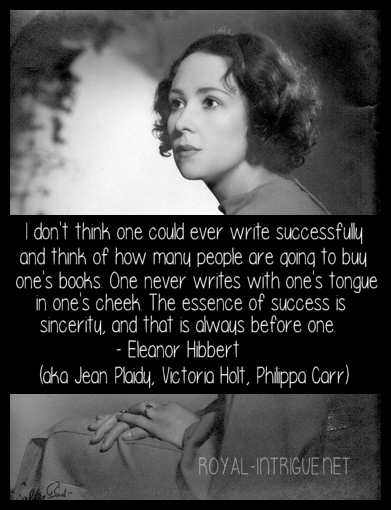 I would love to see all 30 Eleanor Burford titles reprinted. One can hope!